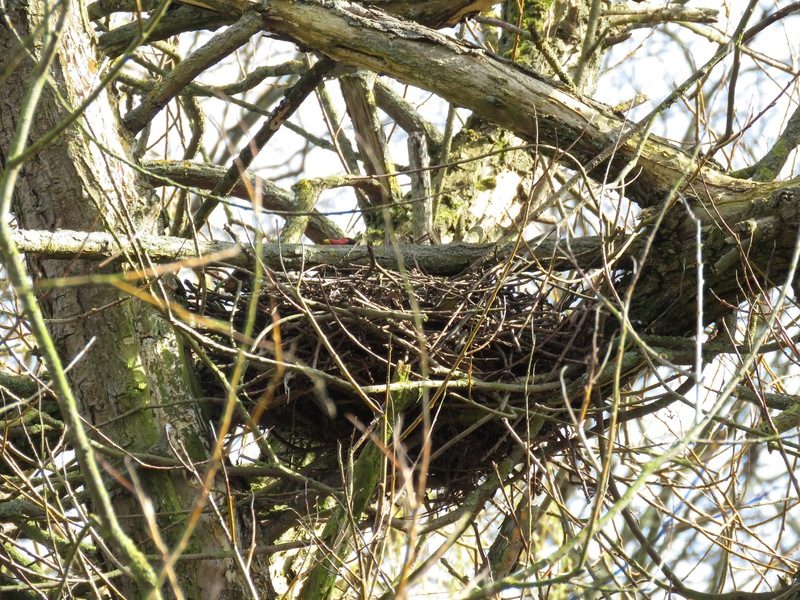 This afternoon I tried and photograph the moorhen's tree nest from a better angle. The nest is located about 4 m high, on a broken branch that is resting on the main fork of the willow. 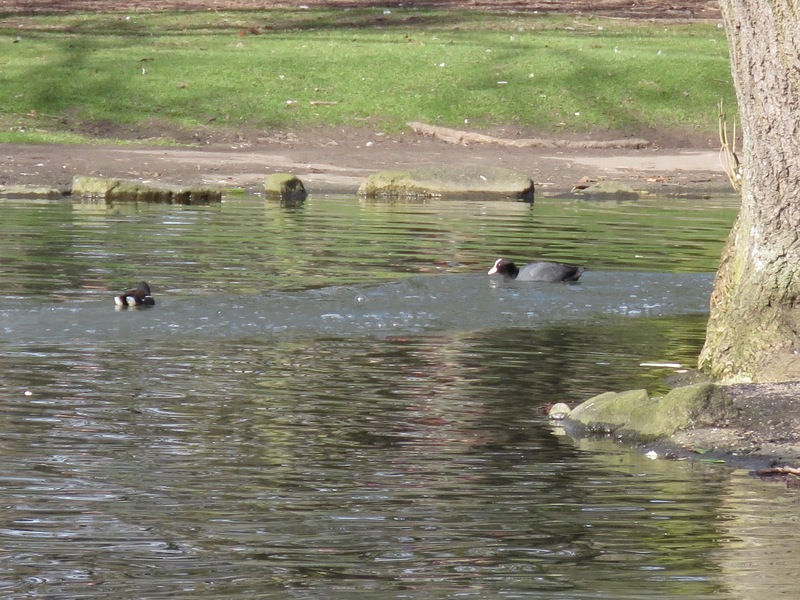 A moorhen was sitting tight on the nest, but only the top of the head and bill was visible (above). Its partner kept busy chasing away the visiting coot. That is interesting, is it normal behaviour? Apparently it is within their normal behaviour, maybe more common than we believe. In the Birds of the Western Palearctic it says 'Occasionally in bushes or trees, sometimes in old nests of other species, up to 8 m abve ground'.